I remember well the Robert’s Snow Artist Open House held at the Child at Heart Gallery in the fall of 2004. It was so exciting to meet a number of the picture book illustrators who had contributed their creations to this worthy cause. I was dazzled by all the beautiful snowflakes. The gallery seemed like a wonderland to me. Trying to decide which snowflakes to bid on in the 2004 auction was difficult. One of the snowflakes that caught my eye at the exhibit because it was so different from the others had been painted by Susan Kathleen Hartung. 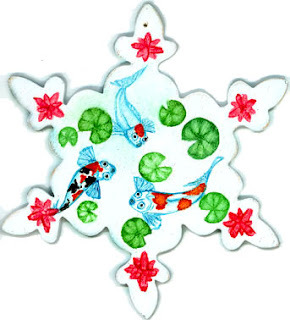 On her snowflake, koi swam amidst lily pads and lotus flowers on a bright white background. Well, I won Susan’s snowflake in the auction. I had decided that I wanted a piece of her original art because I had fallen in love with her work. You may, too, if you read One Leaf Rides the Wind and some of the other books she has illustrated. They include One Dark Night, Dear Juno, and Christmas Mouseling. The Horn Book Magazine: "The rhythmically repetitive text is greatly enhanced by Hartung's blustery pictures, equally effective at conveying the wintry night and the warm and loving tableau in the stable." 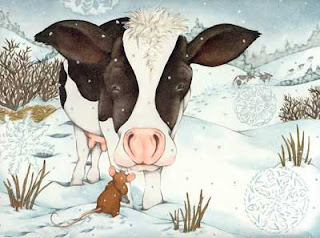 Publishers Weekly: "Hartung's chilly images painted in oil glaze and a bevy of swirling snowflakes on a backdrop of blue turn to burnished hues of gold as the pair enters the welcoming stable, where the mouseling nestlesnext to the infant in the manger." 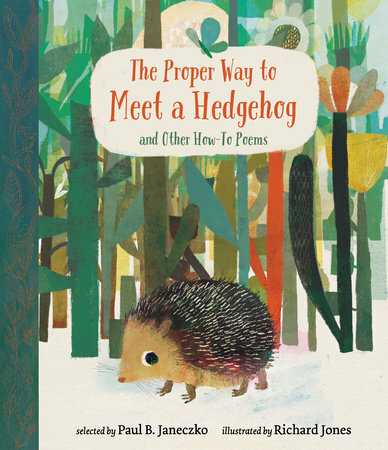 Click here to read Step-by-Step in which Susan explains her process for crafting a picture book. Click here to take a Studio Tour. Elaine: Susan, you use oil glazes and a blotting technique to create your wonderful picture book illustrations. Is that something you learned about in art school or a technique you developed yourself? Susan: The basic glazing technique is loosely based on the oil glaze technique used by Maxfield Parrish, which I was taught in college. However the original impetus behind the actual process I currently use came when I had an assignment due in a matter of hours and I realized I had a limited quantity of supplies available. I created some interesting effects while messing about with what supplies I could find and began experimenting. Through trial, error and a series of happy accidents, an actual repeatable technique began to emerge. The process has been developed and refined over the years and is now something uniquely my own. 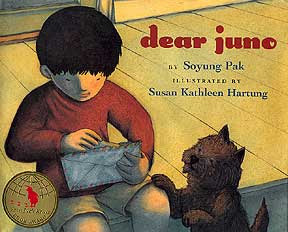 Elaine: Your first trade picture book was Dear Juno, which was written by Soyung Pak. 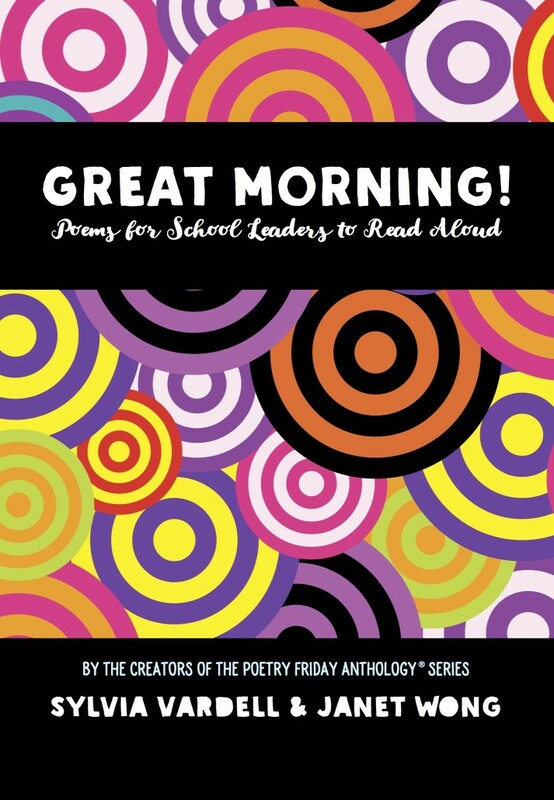 It certainly garnered a number of accolades, including the Ezra Jack Keats Award. 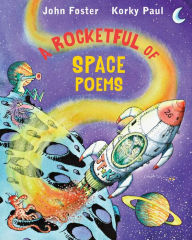 That was a most auspicious entry into the world of published children’s books for you. Could you tell us how you felt when you met with such great success with that first book? 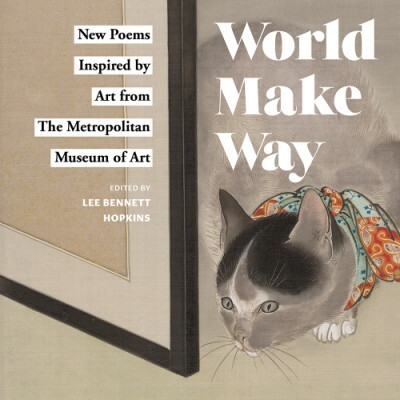 Susan: I don't think it really hit me just how lucky and remarkable it was that I had such an auspicious entry into the world of trade books until just a few years ago. It was certainly thrilling and exciting at the time, but I also had nothing to compare it to. Now with well over a decade of experience in the industry and an ever-growing list of titles – some that have done well and others that have simply muddled along – I realize that it was a remarkable stroke of luck. 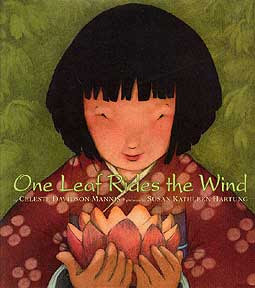 Elaine: I love your illustrations in the haiku counting book One Leaf Rides the Wind. The setting of the book is a Japanese garden. Did you have to do any research before beginning your art for the book? Susan: I research all of my projects quite thoroughly. One Leaf was a bit easier for me to do than some others due to a fascination I had with Japanese culture many years ago. Primarily I do a barrage of visual research before starting any book. For example ­– if it's a book about cats, I look at 100's of pictures of cats. Then I put all of it aside, usually sleep on it, and then draw from my visual memory. No matter how familiar I might be with the subject matter, I basically run my brain through a visual refresher course on a subject before attempting to draw it. Elaine: Have you ever thought of writing a children’s book? Susan: I think most every picture book illustrator entertains this idea and more often than not your publishers will ask if you have ever considered the notion at some point. The one thing that I have come to realize is that although over the years I may have become a relatively good judge of manuscripts, and have even developed some reasonable skills as a story editor, I have yet to achieve any real viable ability or talent as a writer. However, I do still keep a journal of story ideas and make attempts from time to time to develop my ideas further. One of the biggest issues in my inability to achieve any success as a writer, is that I simply don't have the time. Illustration is very much a full time job for me these days. Writing, although intriguing, is at this point low on the priority list. Elaine: Are you working on any picture books at the present time that you would like to tell us about. 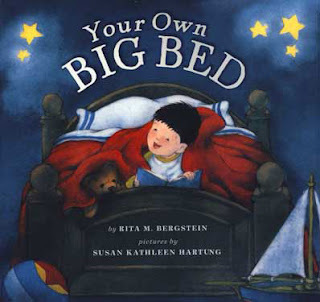 Susan: I just recently finished a project for Viking by first time author Rita M. Bergstein titled Your Own Big Bed that will be coming out in May. 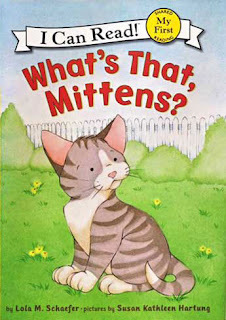 I also have the third book in the Mittens series from HarperCollins coming out around the same time. I am currently in the process of finishing up my second project with Celeste Davidson Mannis through Bloomsbury, currently titled Midnight in London . It's all about time zones. After that I am slated to begin work on a project for Peachtree Publishers currently titled Three Scoops and a Fig about an Italian-American girl and her family’s restaurant. Also in the works is a new early reader series for Zonderkids, and a retelling of an old Scottish folktale for Boyds Mills Press. 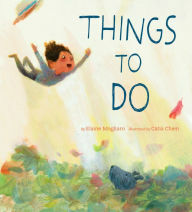 Elaine: Are there any artists—whether fine artists or picture book illustrators—whose work you especially admire? 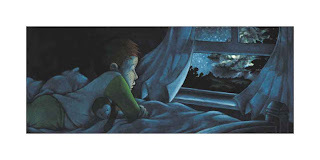 Susan: There are quite a few – Maxfield Parrish, Sendak (of course), Edward Gorey, Lane Smith, David Wiesner, Ponder Goembel, Ross MacDonald, Ian Falconer, Michael Hague, Chris Van Allsburg, William Joyce, J. Otto Seibold, Garth Williams, and on and on. What can I say, I'm a big fan of picture books. Elaine: The snowflake you created for Robert’s Snow 2004 was inspired by One Leaf Rides the Wind. 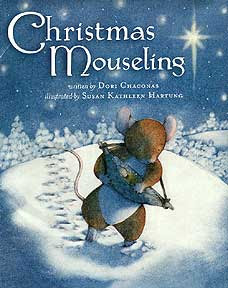 Your 2005 snowflake was inspired by Christmas Mouseling, which was published in that same year. Would you care to tell us what the inspiration was for your 2007 snowflake of a dragon? Susan: The dragon originated from a private commission piece I was working on for a close family friend. It was one of several dragon character concepts I was playing around with. 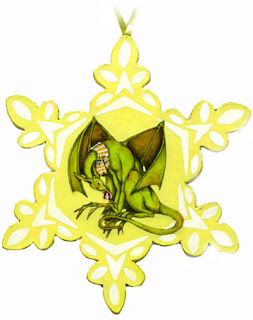 Although not used in the final commissioned work, I decided to use this particular dragon in a piece for my personal Christmas card several years ago. I never did finish the image and it has just sort of been floating around with the "someday" tag on it. When it came time to do the snowflake for this years Robert's Snow auction, it just seemed like the right image for the ornament. NOTE: All illustrations © copyright Susan Kathleen Hartung. No image may be used in whole or in part without written permission. REMINDER: WIN A PRIZE!!! I do hope you’ll stop by to read all of my Blogging for a Cure interviews and to comment about the artists and their work. 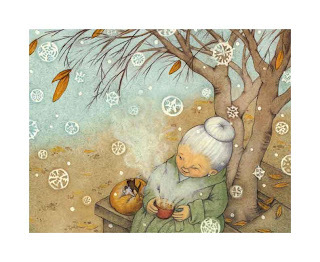 I have a special prize for some lucky person who leaves a comment at any of my six posts featuring a Robert’s Snow artist: a limited edition giclee print of an illustration from Grace Lin’s book Robert’s Snow! 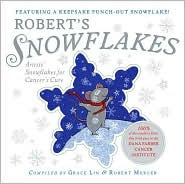 Each time you comment at one of my Blogging for a Cure posts about a Robert’s Snow artist, I’ll put your name in a hat. If you comment at all six posts, your name will go into the hat six times! The drawing will take place on November 19th, the day bidding begins on the first of three Robert’s Snow 2007 auctions. Here is a link to my Blogging for a Cure interview with Scott Bakal. 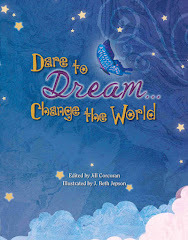 Here is a link to my Blogging for a Cure interview with Alissa Imre Geis. Here is a link to my Blogging for a Cure interview with Wendell Minor. Wow- this post is SO comprehensive! GREAT JOB compiling it! When I began my blog I wrote a post on counting books and you recommended One Leaf Rides the Wind. I went out and bought it and fell in love. Hartung's illustrations for the book are terrific. Thanks for such a great post. I love learning so much about these amazing illustrators. I now will need to look for more of her work! 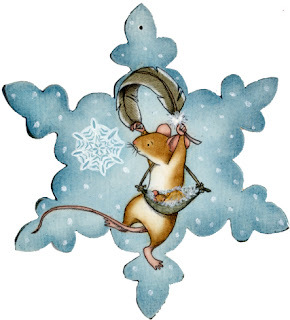 I REALLY love her snowflakes -- in Dear Juno and Christmas Mouseling they're so perfect! And that cow picture really made me smile! One of my favorite illustrators!! I love her site, her logo, her studio, her work! I need to get some of her books added to my collection. I like her snowflakes, too. I also love the way she uses light in DEAR JUNO, ONE DARK NIGHT, and CHRISTMAS MOUSELING. One of the great things about the first Robert's Snow was that I learned about so many talented picture book illustrators. Susan Hartung is now among my favorites! Thanks. 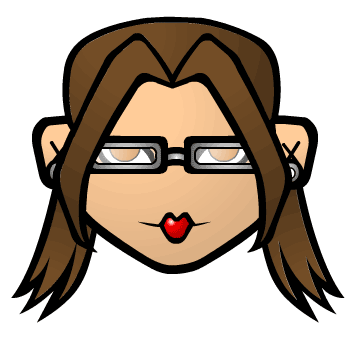 My work on illustator features for Blogging for a Cure is a labor of love. I'm glad you like ONE LEAF RIDES THE WIND. I think the illustrations Susan did for it complement the text so well. They really add another dimension to the book. Oh Elaine, you deliver again! Thanks for this detailed feature. I love how she talks about immersing herself in the subject and then working off visual memory. It's so satisfying for us picture book lovers to read these features, especially when the blogger is able to talk to the illustrator about his/her process. Fascinating stuff, esp. the variety in process for everyone, which is not surprising, of course. Thanks, Elaine and Kathleen! 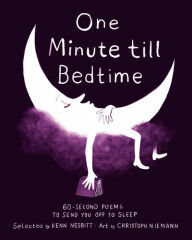 Oh, and I had thought I hadn't seen her work, but I have seen One Dark Night and was mighty impressed. You've sold me on her other books, Elaine. Thanks for sharing, Elaine. It's fun to see a snowflake so different! I may have to go look at One Leaf Rides the Wind again, now that you've reminded me of the book. I loved those illustrations. Thanks for putting the feature together. Good thing about reading your interviews, is it gives me insight to how an illustrator makes their work truly come to life. Lots of new books for the holidays to get at the book store!!! One of the great things about the first Robert's Snow was that I learned about so many talented picture book illustrators. Thanks, Elaine and Kathleen! 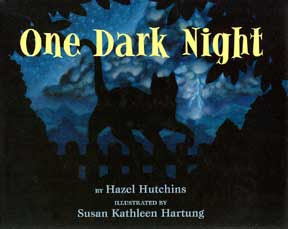 Oh, and I had thought I hadn't seen her work, but I have seen One Dark Night and was mighty impressed. Lots of new books for the holidays to get at the book store!!! I now will need to look for more of her work! I need to get some of her books added to my collection. You've sold me on her other books, Elaine.